Provide comfort for the family of Elgin Dunham with a meaningful gesture of sympathy. Elgin Murray Dunham 81 of Harrison, passed away Thursday, January 24, 2019 at Ovid Healthcare Center-Ovid, Michigan. Elgin was born November 16, 1937 in Frost Township, Harrison, Michigan, the son of Edmond Friday Dunham and May (Defrees) Dunham. Elgin graduated from Harrison Community Schools in 1956. Mr. Dunham was a lifetime resident of rural Harrison. Elgin was a member of Community of Christ Church, Harrison. He enjoyed deer hunting with family and friends, bowling on many leagues, collecting old cars, coordinating family reunions and his class reunions. Elgin was passionate about his land and enjoyed farming and raising livestock. Elgin and his companion of over thirty years, Ms. Vivian Cooper owned several businesses in Harrison, including: Dunham’s Long Lake Store of Harrison, CD Fitness Center also of Harrison and several rental properties. Surviving Mr. Dunham are his two daughters; Deborah Bond and husband Doug of Harrison and Angela Runnels and husband Wayne of Arizona, four grandchildren, Justin and Jason Bond and Meghan and Zachary Runnels, one sister, Virginia Wickwire and husband Everett of Laingsburg, Michigan, one sister in law, Jeannie Dunham of Harrison, two nieces; Michelle Neimeyer and husband Mike of Grand Ledge, Michigan and Dawn Slater and husband Jeff of Grant, Michigan, three nephews; Randy Wickwire and Bobbie of Saranac, Michigan, Trent Wickwire and wife Julie of Dundee, Michigan and Trevis Dunham of Harrison, plus many great-nieces and great-nephews. Mr. Dunham was preceded in death by his parents, one brother, George Dunham and his companion and business partner Vivian Cooper. Celebration of Life services for Mr. Dunham will be held Saturday, February 2, 2019 at 2:00 p.m. from Community of Christ Church, 2246 East Cranberry Lake Road, Harrison, with Elder Joyce Beemer officiating. Memorial gifts in memory of Mr. Dunham may be considered to: Community of Christ Church or The Dunham family; In Care of Angela Runnels. To share an online memory or condolence with Elgin’s family, please visit: www.stockingfuneralhome.com. Arrangements for Mr. Dunham are entrusted with Stocking Funeral Home, Harrison (989) 539-7810. 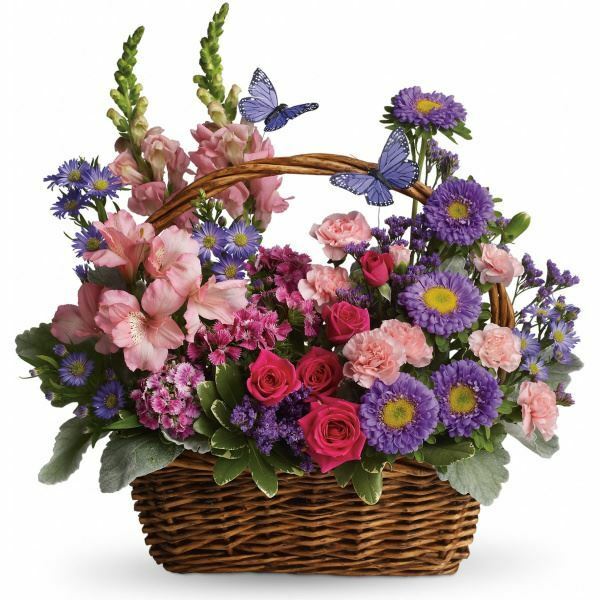 To send flowers in memory of Elgin Murray Dunham, please visit our Heartfelt Sympathies Store. 2246 E. Cranberry Lk. Rd. 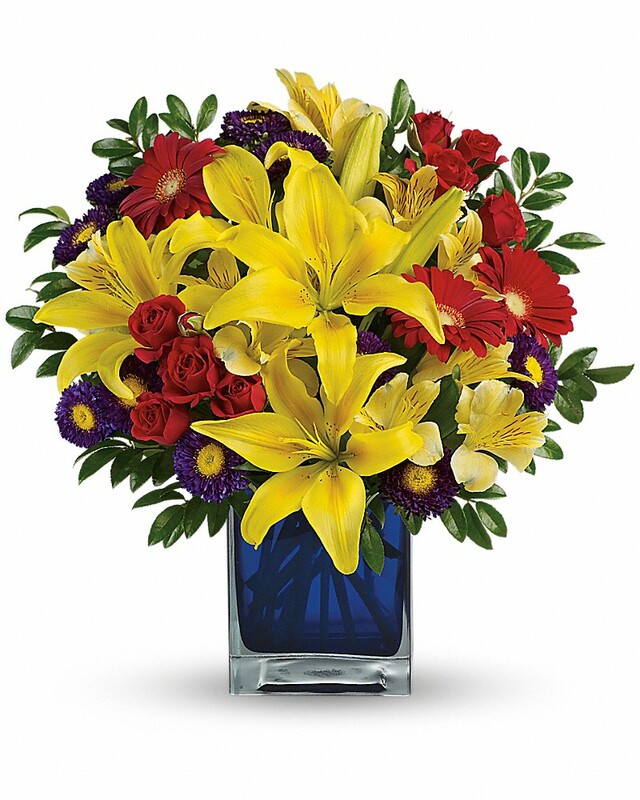 Randy, Bobbie, Aniken & Hitch and Deb Doug Justin and Jason have sent flowers to the family of Elgin Murray Dunham. My name is Jenny and I was one of the therapists at Ovid Healthcare that worked with Elgin both last year and last month. He is one of our most favorite patients and all of the therapists loved working with him. I will always remember his loving smile and our talks about Michigan State basketball. There are certain people that you will always have a special place in your heart, and for me, that person is Elgin. The other day I was driving home from work and looked up and saw a rainbow, and I knew it was Elgin letting us know that he’s ok, and that he’s smiling down on us. Randy, Bobbie, Aniken & Hitch purchased flowers for the family of Elgin Dunham. Sorry to learn of Elgin's passing. Elgin enjoyed his bowling. When I purchased Gateway Lanes in 1981, Elgin was there to welcome me to town and to the Clare Men's league. We bowled against each other for over 35 years. When his brother George passed, my team bowled against Elgin and George on Wednesday night. Shortly after bowling that night, George passed. Because of a position round we were scheduled against their team the following Wednesday night and seemed hard to believe that we just bowled against the brothers and one week later, one had passed. I will miss Elgin. My prayers for Vivian and the family. Deb Doug Justin and Jason purchased flowers for the family of Elgin Dunham.